Dimensions 0.25 by 7.25 by 5 in. A charming burlesque concerning an intrepid voyage of epic proportions by the Ã¢ÂÂincredibly sophisticated . . . stylish and inventiveÃ¢ÂÂ Edward Gorey (New York Observer). Now available in a special gift edition. 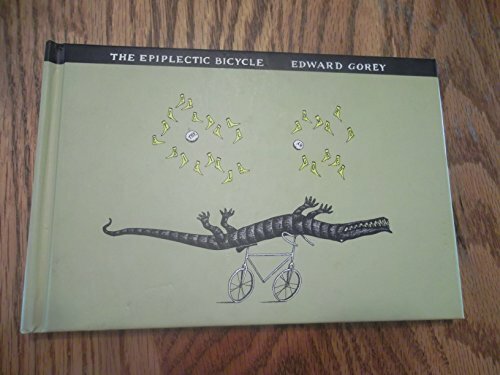 from Houghton Mifflin (June 1, 1998); titled "The Epiplectic Bicycle"
About: While Embley and Yewbert are hitting one another with croquet mallets one day, an untenanted bicycle rolls into their garden.